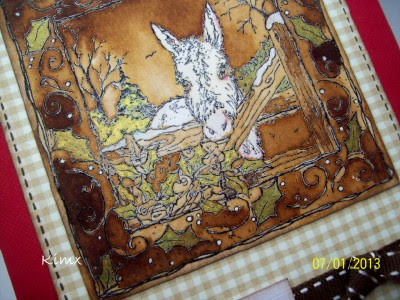 Today I am showcasing a card I made for Sue and Harvey in April this year. I hope you are all enjoying this fabulous weather, I have to admit it is a little too hot for me at times but I did manage to cut our lawns today and got bitten alive by midges and horseflies LOL! Well let's get down to business - card making LOL! Onto some black card I matt a smaller square of scalloped edged green card. I then cut out and embossed with white oblong using the oblong scalloped die. 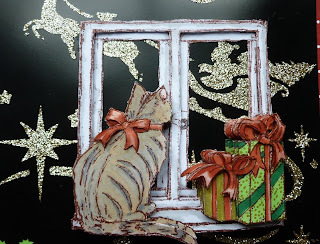 I then cut out two borders from white card using the memory box border die and glued them tot he top and bottom of the green card, then glued the white scalloped oblong on top of the border die cuts. I then cut out and embossed a green oval using an oval die and the daisy diamond stencil. I then glued this oval onto a larger black oval. 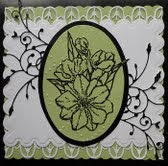 I stamped the Clematis stamp onto some green card using a Versamark pad and heat embossed with black embossing powder. Cut out the flower only and glued to the green oval. the memory box corner dies was cut out twice using black card and glued one to the top left and one to the bottom right corners. The last thing was to glue the oval to the centre of the base card. That's it folks! I hope you are all enjoying this fabulous weather we are having at the moment. 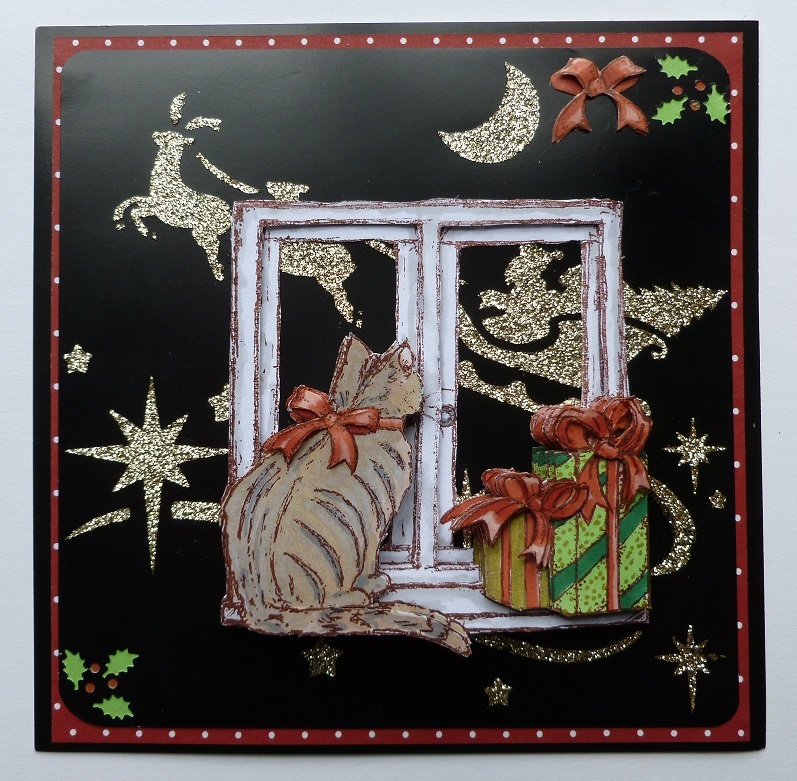 Today we have a card made for the QVC show last Thursday made by Jennifer. 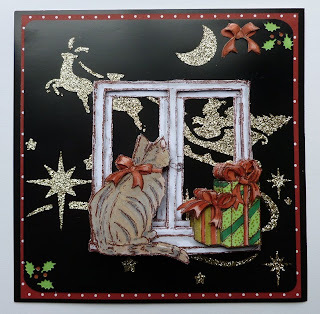 Mink Sparkle Medium was spread over the stencil onto black shiny card, once dry rounded off two of the corners with corner punch and the other two with the holly punch. Matt this onto red/white paper and then matt onto black card. 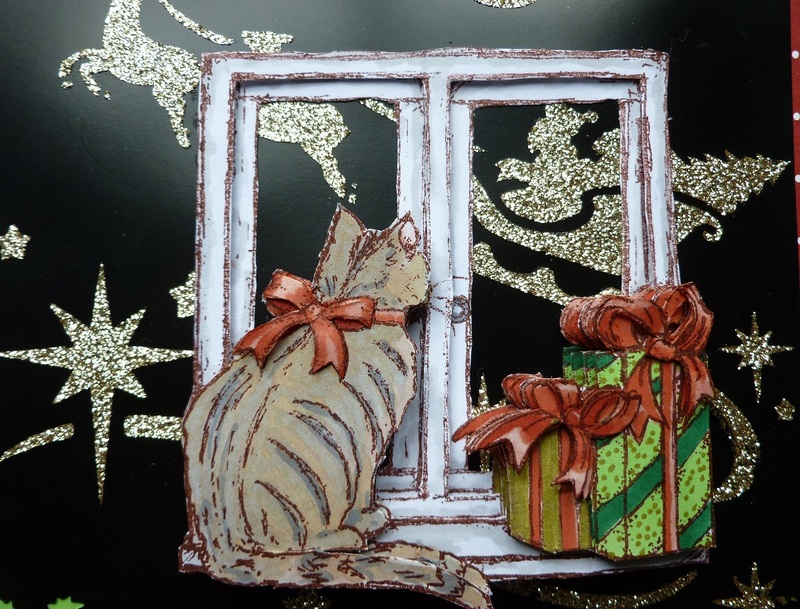 Stamped the cat on the windowsill five times, coloured these and then cut them out, the window frames were removed the layered them up. This was then glued to the stencilled card. 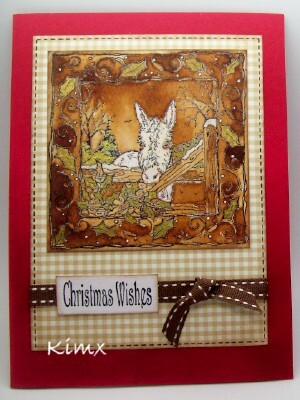 Today we are showcasing one of Kim's samples using the Donkey decoupage stamp that was featured on QVC on Thursday.